In addition to the GAC, all students in this program have the opportunity to prepare for and take the ACT® test, a multiple-choice college entry test that covers English, mathematics, reading, and science. An optional writing test is also available. This test is recognized by all universities in the USA and many universities elsewhere. The Global Assessment Certificate (GAC) is the only international university preparation program that includes the ACT. This means that when you apply to university, in addition to your high school diploma, you will have a GAC Grade Point Average (GPA) along with an ACT score and an English proficiency score. Universities in Europe, Asia, the Americas, and the Caribbean have accepted AlphaMax Academy graduates with GAC credentials and they have successfully completed their studies in three years. Credits and Scholarships: Most Pathway Universities offer GAC graduates with good grades up to one year of college credit. In 2016, the prestigious and internationally respected American Council on Education (ACE) evaluated that GAC graduates were eligible for up to 40 credit hours of tertiary-level, university course work. This allows you to complete your university studies faster, saving you a significant amount in tuition fees and living expenses. The Caribbean Secondary Education Certificate (CSEC) is a globally recognized and regional exam offered by the Barbados-based Caribbean Examinations Council (CXC). CSEC candidates are examined for certification at the General and Technical Proficiencies. The General and Technical Proficiencies provide students with the foundation for further studies at the tertiary-level and entry to the workplace. The Council now offers a total of 33 subjects, that is, 28 subjects at General Proficiency and 5 at Technical Proficiency. Students who perform exceptionally well and fit the criteria are eligible for one of the many CSEC Regional Awards given by the Caribbean Examinations Council (CXC). 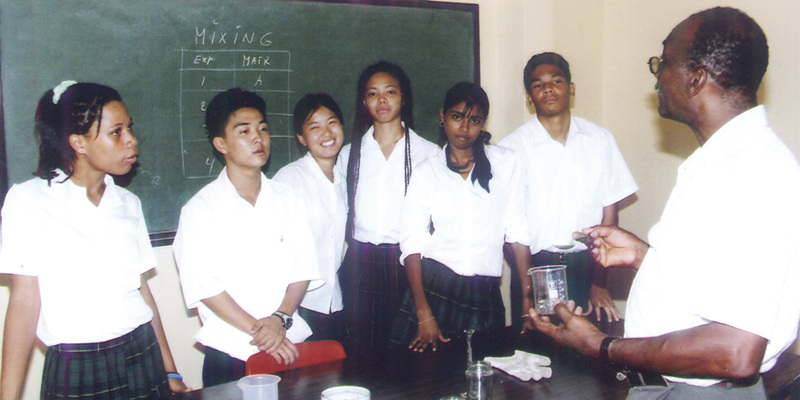 The Caribbean Advanced Proficiency Examination (CAPE) is another program offered by The Caribbean Examinations Council (CXC) designed to provide certification of the academic, vocational and technical achievement of students in the Caribbean who, having completed a minimum of five years of secondary education, wish to further their studies. The examinations address the skills and knowledge acquired by students under a flexible and articulated system where subjects are organized in one-Unit or two-Unit courses with each Unit containing three Modules. Subjects examined under CAPE may be studied concurrently or singly. The CXC Associates degree helps students fine-tune their knowledge, skills, and attitude required for the work place or for continuing tertiary education. Associates Degrees are available in various streams including Arts & Humanities, Business & Human Development Studies, Mathematics & Science, and Technical Studies & Creative Arts.